Although we love to entertain year round, summer is our absolute favorite season. 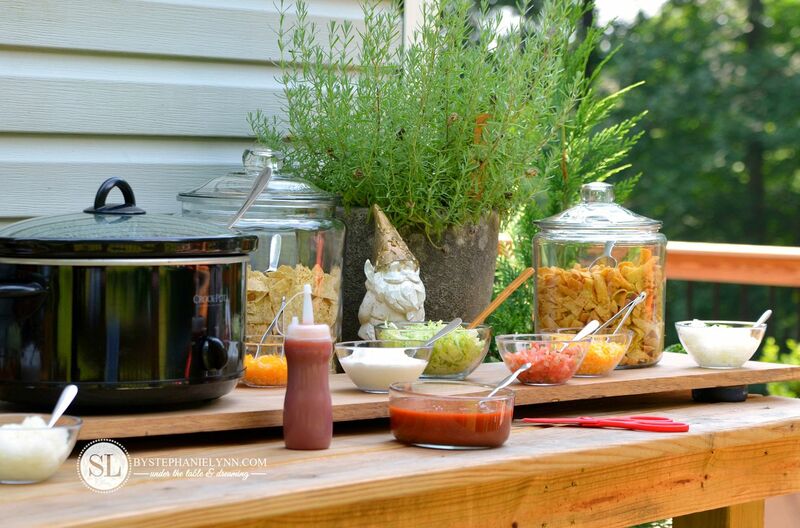 The carefree days, outdoor activities and spontaneous get-togethers call for some casual party ideas that don’t break the bank or require a lot of time or thought. 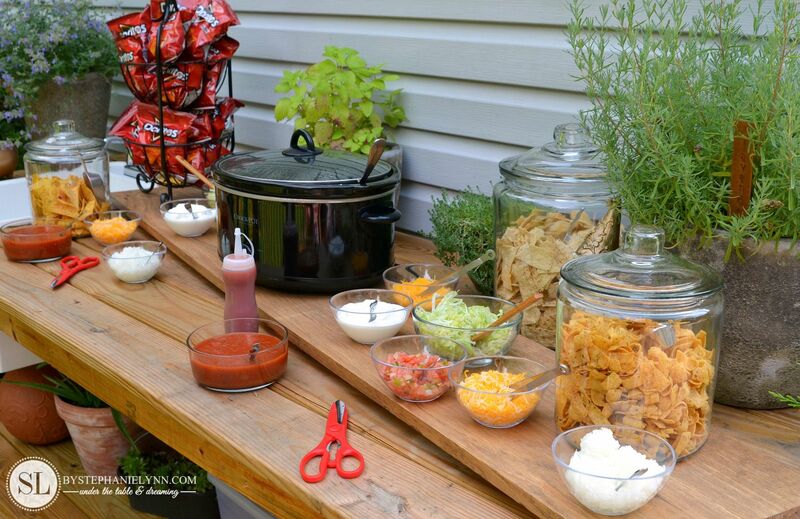 A walking taco bar is a convenient and clever way to serve ‘tacos’ on the go. 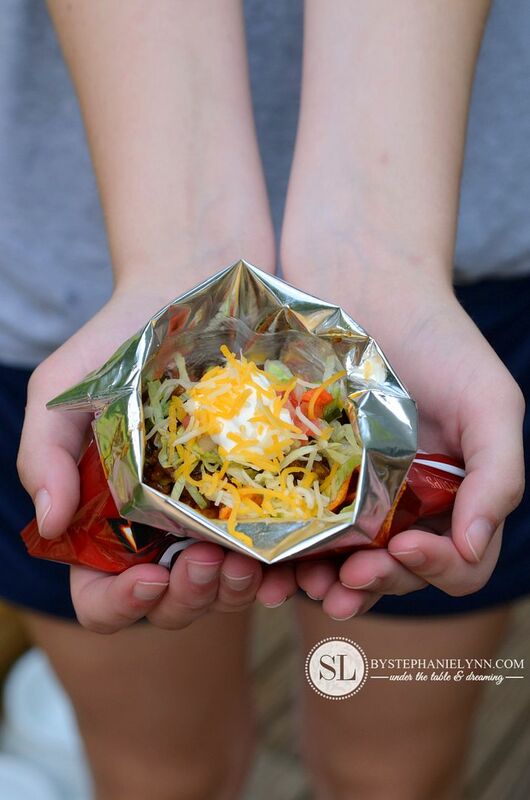 The individual sized bag of chips mimics the shell and once opened – is the perfect little pouch to fill with meat and all of your favorite taco toppings. It’s one of those bars that guests can help themselves to throughout the day and it does not require a lot of maintenance from the host – so you can enjoy the company of your guests and planned party festivities. All of the prep work was done in advanced and included a couple pounds of ground beef and a selection of prepared taco toppings. then placed in a crockpot to keep warm. 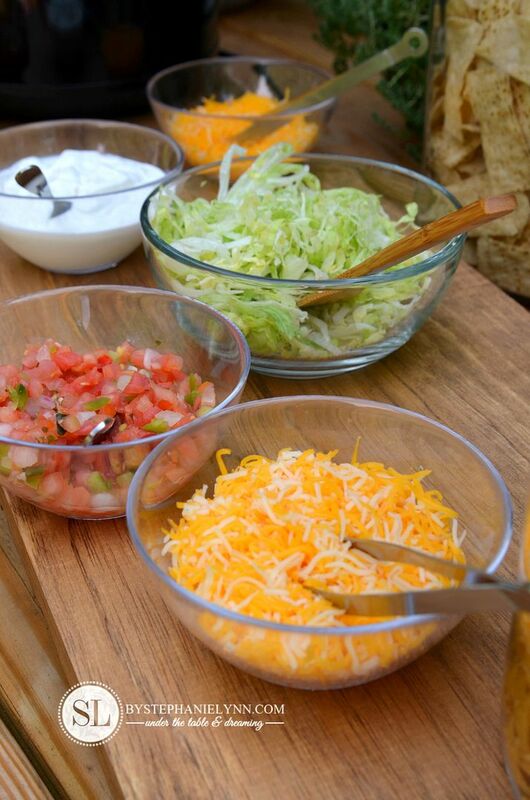 The topping for our bar included shredded cheese, sour cream, shredded lettuce, dicd tomatoes, chopped onions, salsa, and taco sauce. Some additional ideas include avocado, guacamole, scallions, and refried beans. 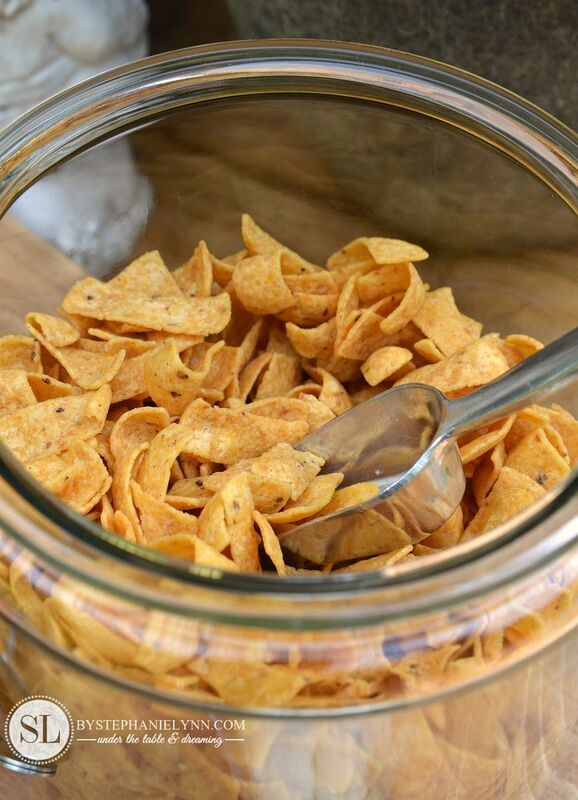 Along with the individual sized bags of nacho Doritos, cool ranch Doritos, Fritos and plain corn chips were also served in large glass containers. Small cups were available for the chips in the containers – since I was not able to find the individual sized bags at our local store. 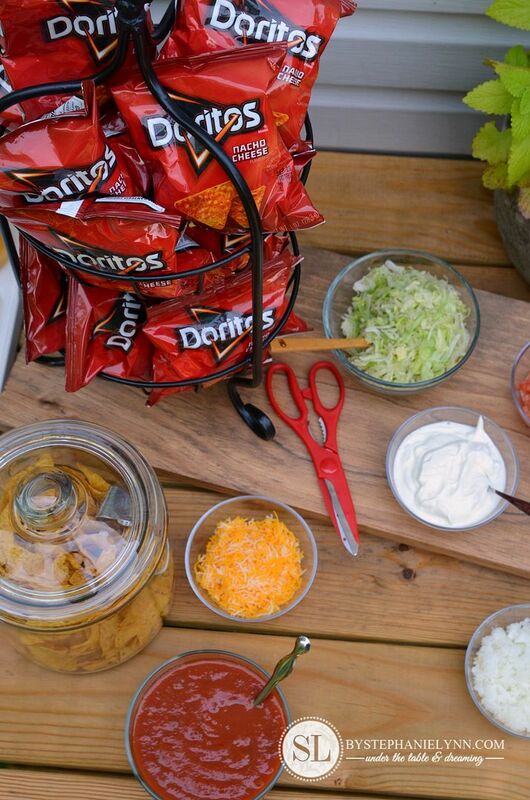 To assemble the walking tacos, crunch the bag of chips – to break them up into smaller pieces – then cut along one side of the bag to open, as shown above. Fold over the top of the bag and fill with seasoned meat and desired toppings. 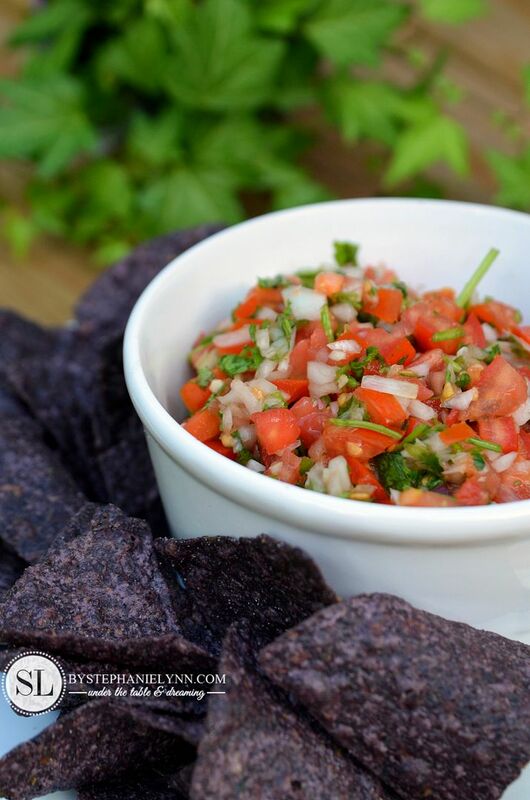 For table snacks I whipped up a couple batches of fresh Pico De Gallo. This simple and tasty recipe can also be made in advanced and is actually better when chilled for a few hours. Mince the onion, green onions, and garlic cloves in a food processor or chopper. Set Aside. Mince the fresh cilantro in the food processor. Set aside. Combine the chopped tomatoes and jalapeño peppers in a medium mixing bowl. Add in the minced onions, garlic and cilantro. Squeeze in the juice from two fresh limes and season with salt and pepper (to taste). As any hostess will tell you, one thing they want to keep off the party menu is heartburn. 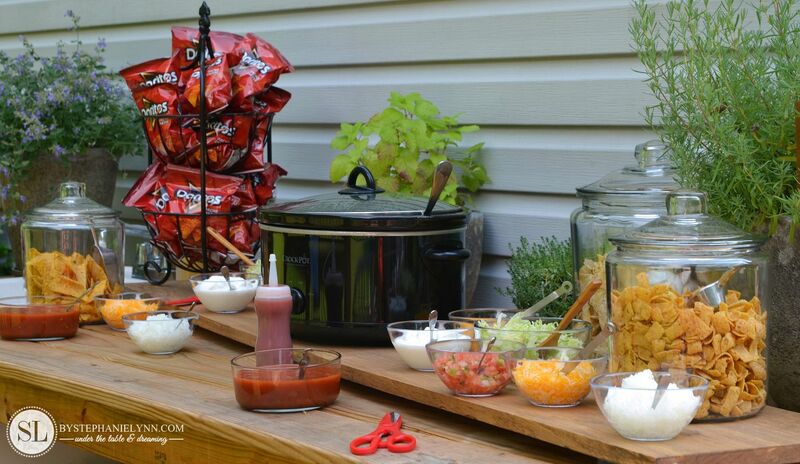 Although everyone’s triggers may be different, a set up, such as a walking taco bar, contains some usual suspects such as tomatoes, onions, garlic and spicy foods. When hosting affairs such as this, one thing I always like to keep tucked away is Pepcid®. Pepcid® Complete® starts working in seconds and lasts all day or night – making it possible for guests to eat whatever they like and stick around to enjoy the planned festivities, even when heartburn strikes. To learn more about common triggers and heartburn relief, visit the Pepcid® Facebook Page. I have received information, product, and materials from McNeil Consumer Pharmaceuticals Co., the makers of PEPCID®. The opinions stated are my own. This is a sponsored post for Mom It Forward. 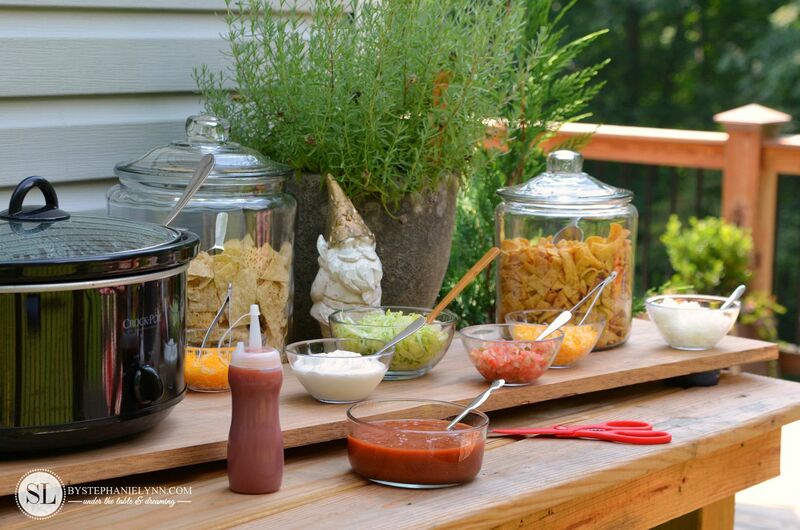 Love your taco bar, looks delicious and it’s such a great idea for a party. Love love love! 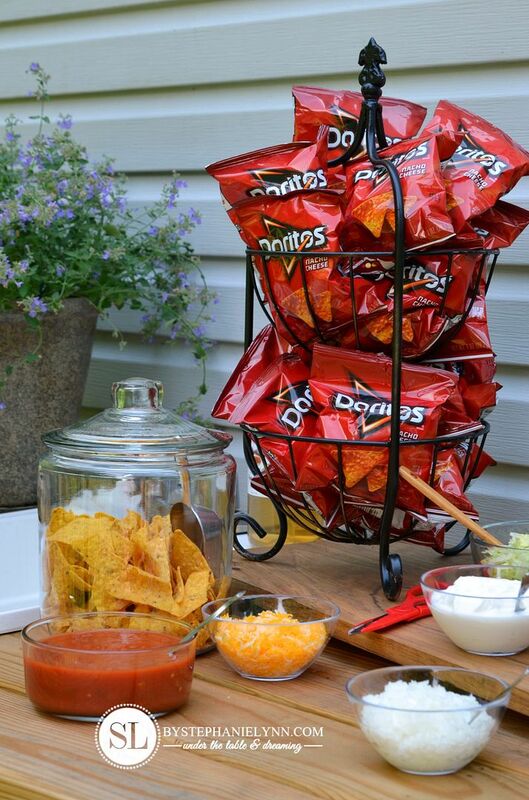 What a great way to serve a favorite at a get together. Great set-up! such a fun idea, my family would love this! 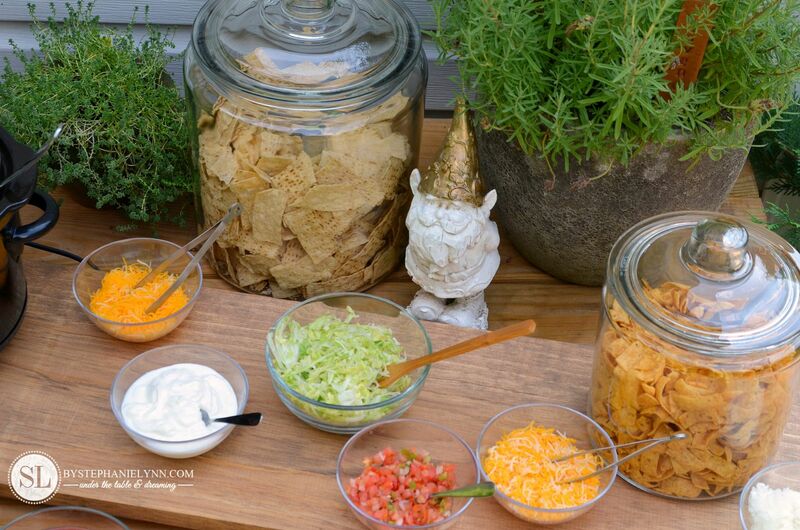 Stephanie, this such a great idea for a pool side party. I have a birthday party coming up for a 9 year old, this would be perfect. 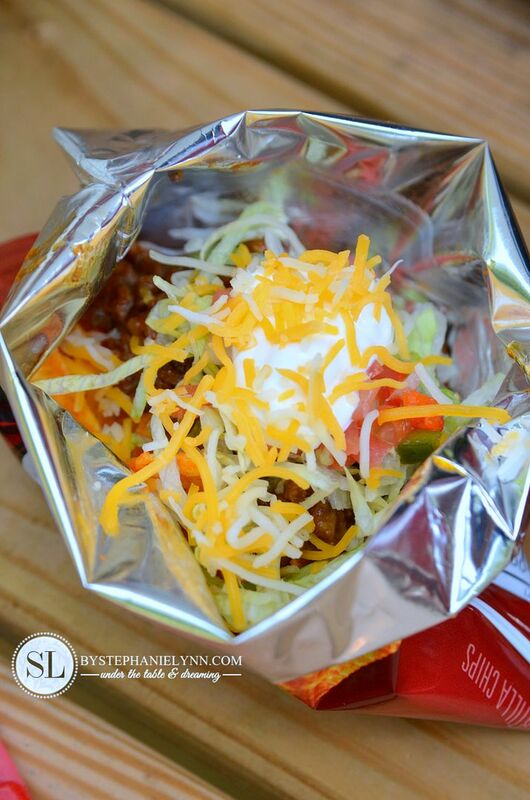 Plus, the younger kids can show the older adults how to make a walking taco. I have found that some grandparents are not always up on these kinds of foods 😉 You could also add other Mexican foods to appeal to their tastes too. 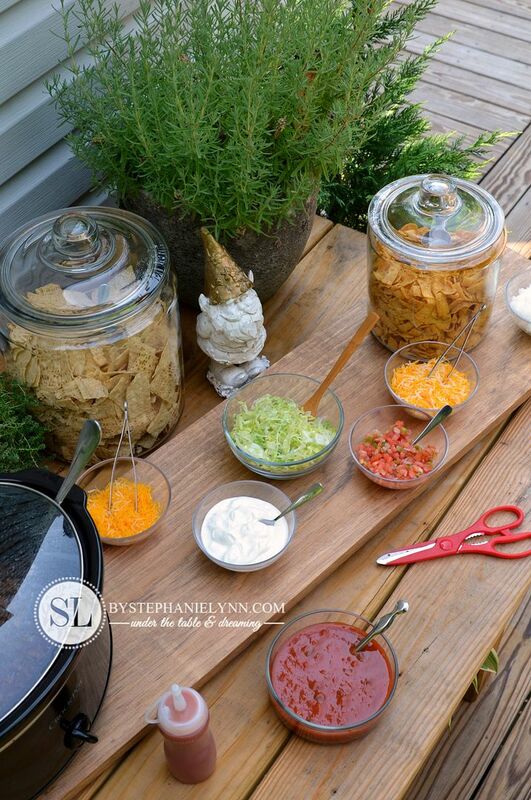 Stephanie, this is such a great idea for a pool side party. I have a birthday party coming up for a 9 year old, this would be perfect. 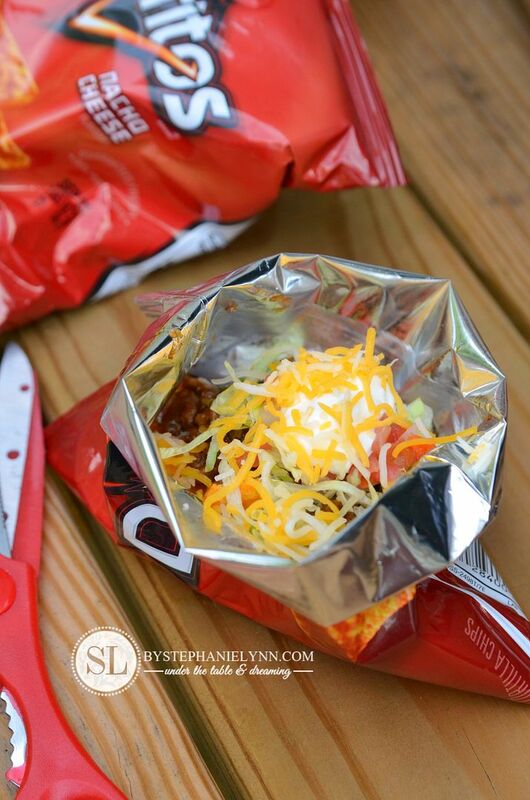 Plus, the younger kids can show the older adults how to make a walking taco. I have found that some grandparents are not always up on these kinds of foods 😉 You could also add other Mexican foods to appeal to their tastes too. I found you on Pinterest, and I’m so glad I did! 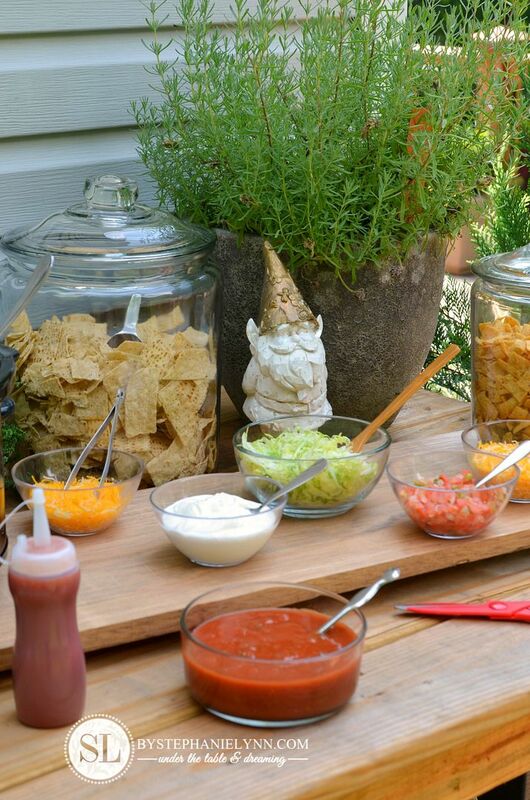 We’re having a party this weekend and serving Walking Dead Tacos. 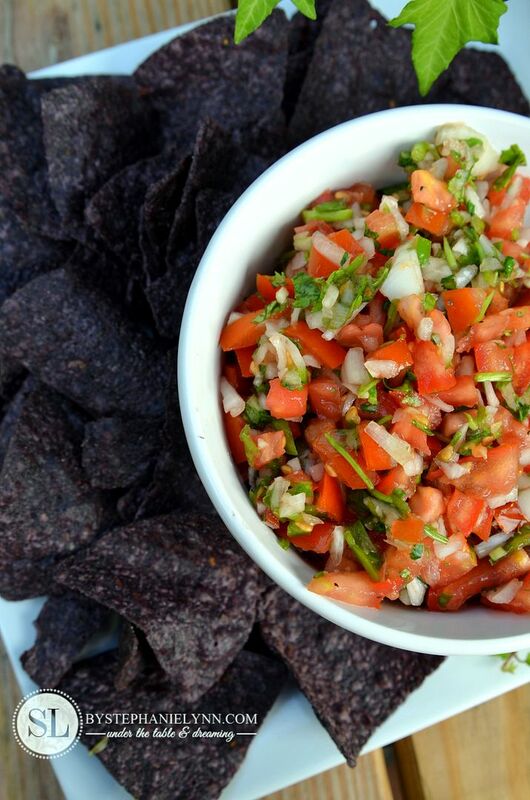 I’m making your pico for sure! Thanks! What a fabulous idea! Thank you so much for sharing! This is a cute idea, but my question is: how do you eat it? Do you use a fork or just dig right in with your hands? If you use your hands won’t it be super messy if you used, say, guacamole and/or beans? I’m doing this for my next bunco night! I can prep the night before, and pull it out of the fridge, and warm up the cooked taco meat! Thanks!